Beautiful 28" Christmas Deco Mesh Wreath in Premium Gold and Silver. Features a Large Designer Double Bow at Top. First Bow is a Velvety Red with Gold Design and Gold Edging. 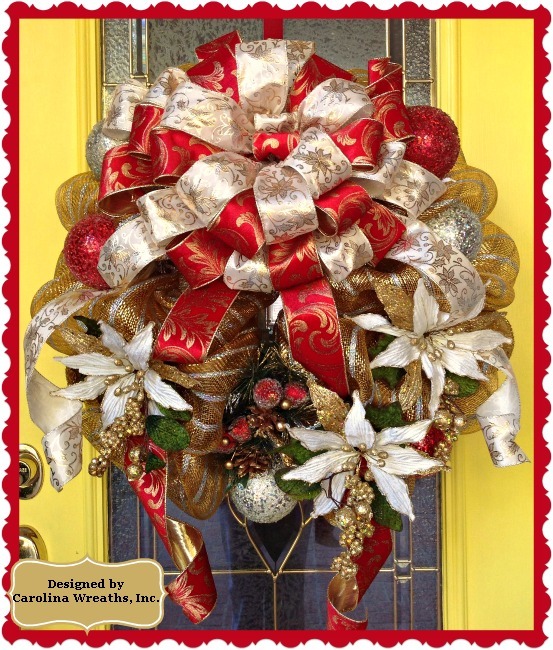 Second Bow is Ivory with Gold and Silver Poinsettia Pattern and Gold Edging. Both feature Tails. 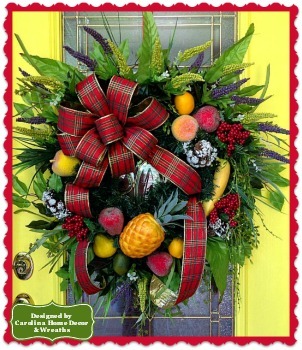 Embellishments include 3 Ivory and Gold Poinsettias, and 2 Floral Picks with Frosted Red Acorns, Pinecone and Greenery. 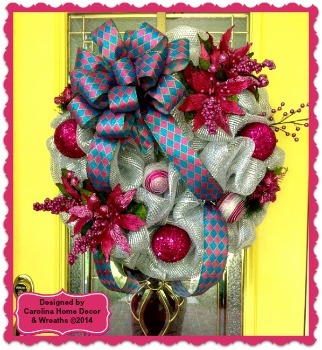 Large Sequined and Iced Ornaments in Red, Gold and Silver Throughout the Wreath. Spray with Protectant!